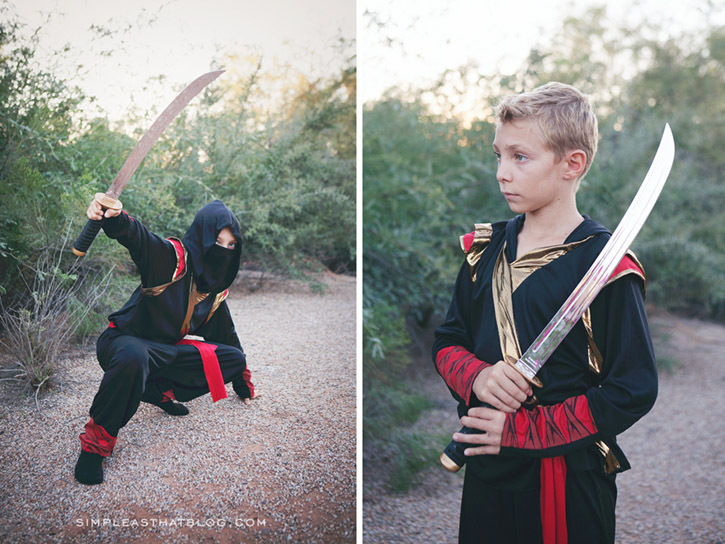 We love Halloween and while my kids get pretty excited over the candy, for me, Halloween is all about the costumes! 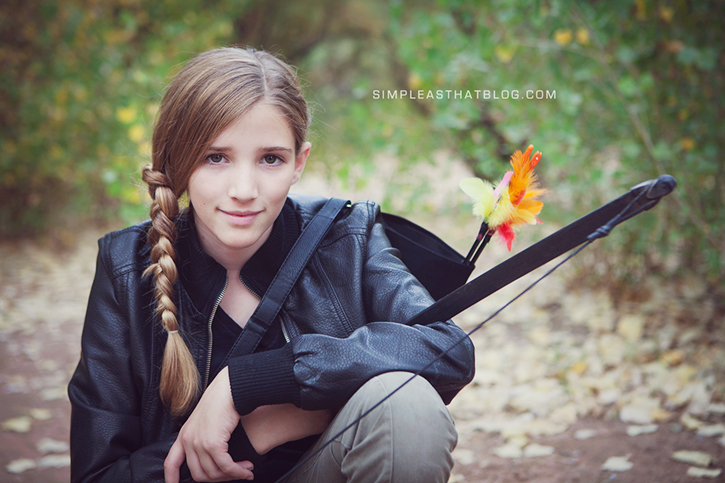 As a Mom and a photographer, it’s a priority for me to get some memorable photos of my kids all dressed up! Follow along as I share some quick tips on how to get creative with your costume photos this Halloween! This post is sponsored by BuyCostumes.com and may contain affiliate links. All opinions are 100% my own. Be prepared. 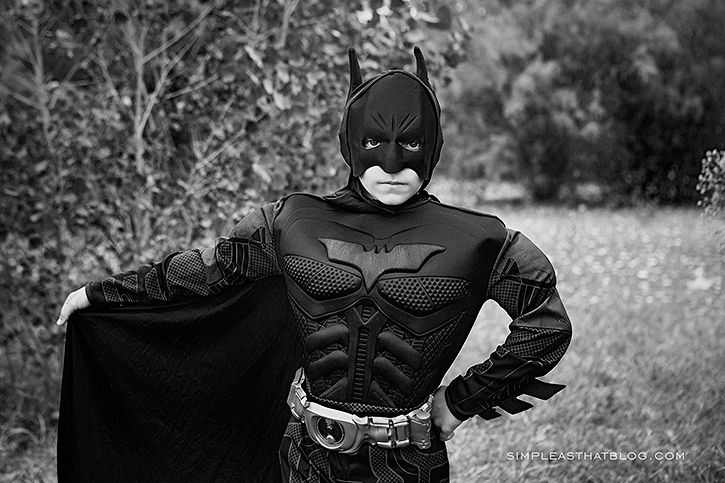 As you set out to capture your kids in their Halloween costumes, the first thing to remember is to be prepared. Have your camera battery fully charged, your memory card ready to fill. Take a few minutes to jot down a list of photo ideas or images you’d like to take. Choose a location. Plan out where you’d like to take your photos. Scout out a location that provides a neutral backdrop so your subject can shine. Location can do a lot to set the mood for your images.My favourite place is an area of trees. The green backdrop from the tree leaves provides a great neutral backdrop and the shadow and light in the trees can provide a certain sense of eeriness in my Halloween photos. Don’t wait until the 31st. 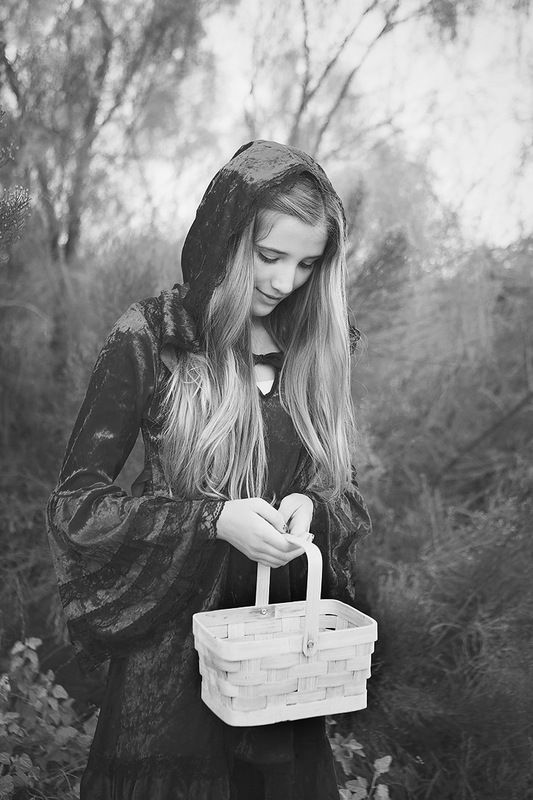 Halloween tends to get hectic as the 31st approaches – there are Halloween parties to attend, class treats to prepare and last minute costume preparations to make. It’s been my experience that leaving all the Halloween photo taking to the day of, only adds to an already full day. Kids are tired, full of sugar and most interested in getting on with trick-or-treating rather than posing for a few pictures for Mom. We typically do a Halloween dress rehearsal before the big day. 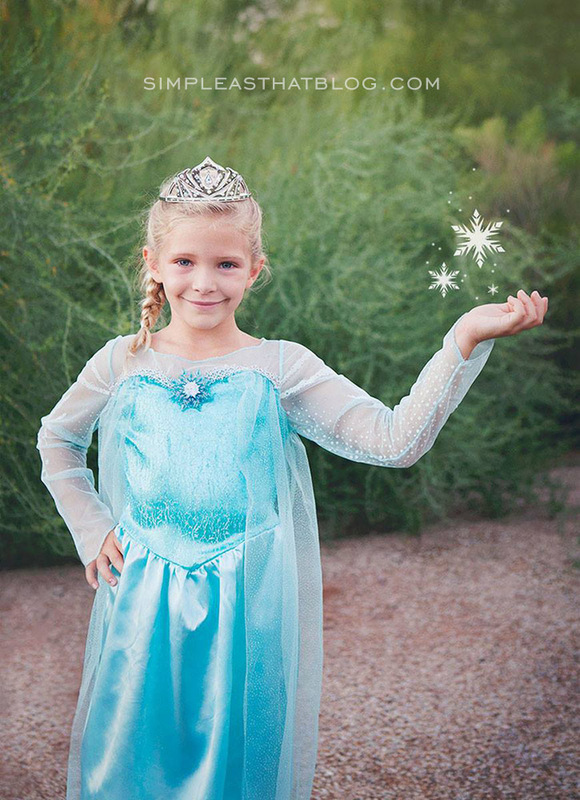 This most often ends up being a day where the kids already have a Halloween function to attend. Taking a few photos while they’re already dressed up means I can relax and capture those candid moments on Halloween night, knowing I already have some great photos of my kids in costume! Get into Character. My kids love to play pretend and when we’re out taking photos in their costumes they’re no different. Inviting them to play the part of the character they’re dressed up can bring out some really fun interactions, facial expressions and personality! 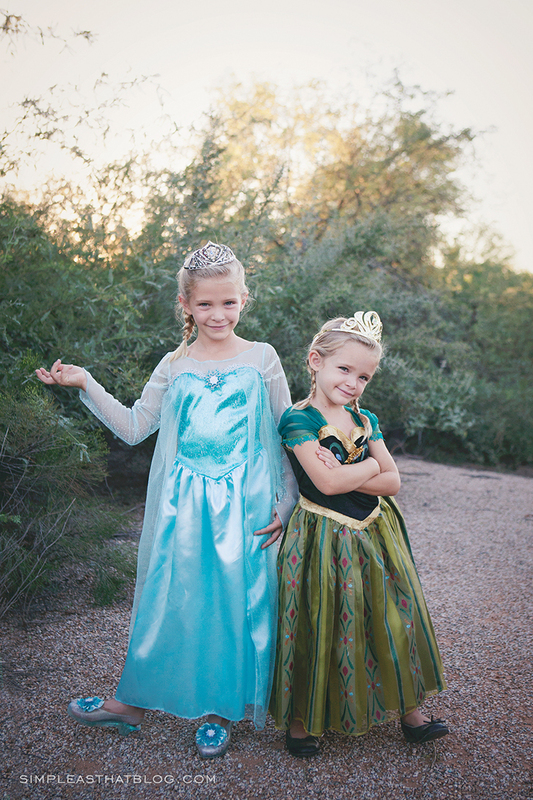 My girls are so excited to be Elsa and Anna this year, especially after having the chance to meet their favorite princesses during our trip to Disneyland in September! I didn’t have to ask them twice to pose like their favourite princesses and what resulted was this darling photo. Be yourself. Don’t forget to take some photos of your kids just being themselves along with those images of them getting into character. If their costume covers their face, be sure to get some shots with their face showing. You definitely want to be able to look back on these photos and know who was dressed up in what costume. Change things up. Don’t be afraid to try something new with your photos. Crop in close on the details, take a step back and capture the whole scene. Get down low, stand up on something – change your perspective and see what kind of photos you can capture. Enhance your Halloween photos. It doesn’t have to be anything major, but adding some subtle effects, text or other photo editing effects to your images can really take them from so-so, to downright spooktacular! In the photo above I added some snowflake overlays for fun and my daughter thought it was the most magical thing! You can create a particular mood in your Halloween costume photos using photo filters or actions to enhance colors, add texture and more. I do my photo editing in Photoshop, but there are lots of other ways you can add some creative flair to your images by editing. Check out picmonkey.com for all kinds of ways to embellish your images and apply different effects. You can even use editing apps to enhance photos that weren’t taken by your phone. Simply email your photos to yourself, save to your camera roll then edit in your favorite photo editing app, save to your camera roll and then email the edited version back to yourself. Another thing you can do to enhance your Halloween costume photos is apply text effects. You can use the type tool in PS or PSE to write text directly on your image, use edition apps like phonto or Studio Design. You can use what are called photo overlays. 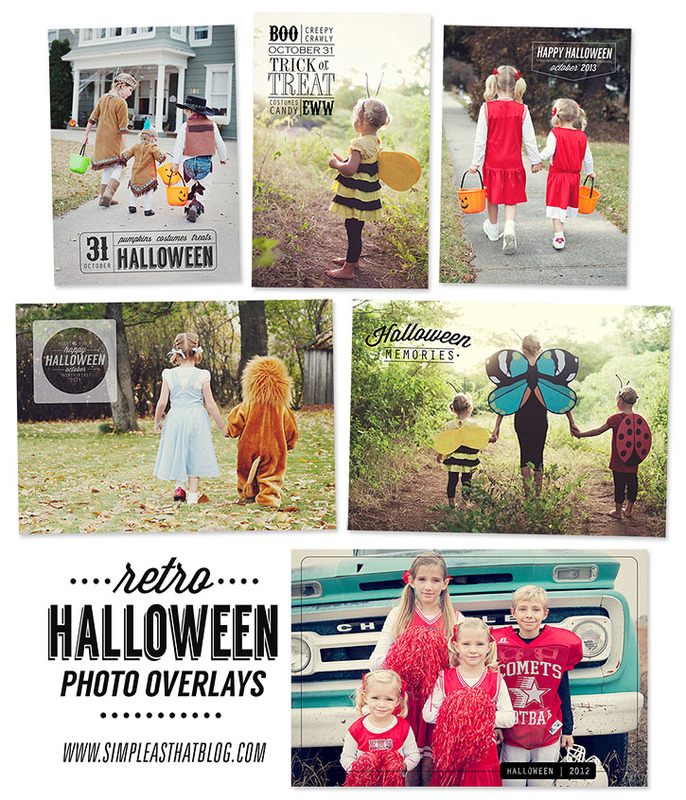 I created a fun set of Halloween photo overlays that are really fun. Stay tuned next week for a video tutorial on how to use them in PS/PSE and at picmonkey.com. 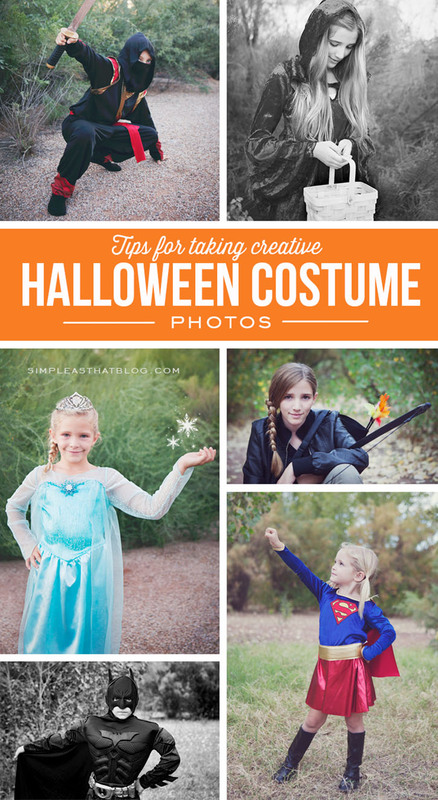 I hope these tips help you as you set out capturing memorable photos of your little ghosts and goblins in their costumes this Halloween! My kids are so excited to get dressed up for the big day and I’m excited to have our costume photos out of the way so we can focus on fun and family time this holiday! 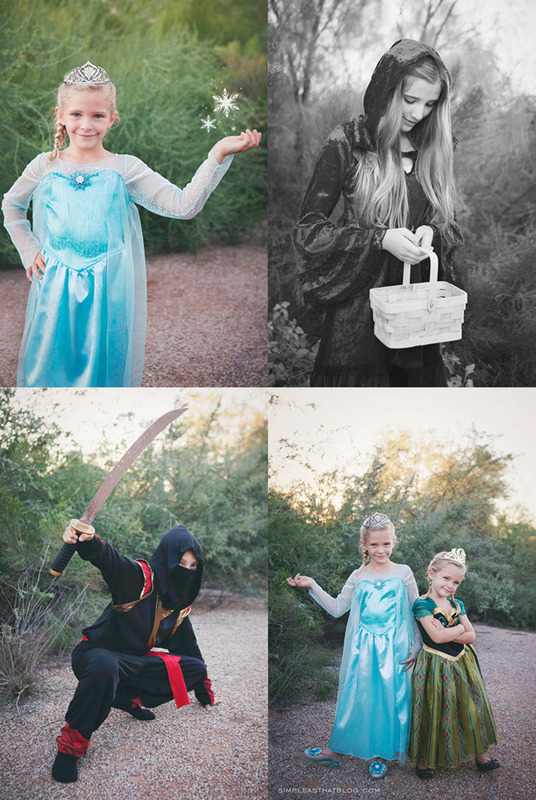 My kids are excited to be Elsa, Anna, a ninja and Red Riding Hood this Halloween! All of their costumes are from BuyCostumes.com and we’ve been really impressed with them thus far! Shipping was incredibly fast, the quality of the costumes is great and I love the fact that BuyCostumes.com always has a discount code available so you can get a good price ! These are great tips. I love getting pictures of my kids in their costumes before the big day. I know it would not happen if I waited. With how busy the day is I know they would not cooperate. Always love your photos. Just took photos of my kids today after learning this from you a few years ago. Curious what actions you used for these? Do you still use addylane?